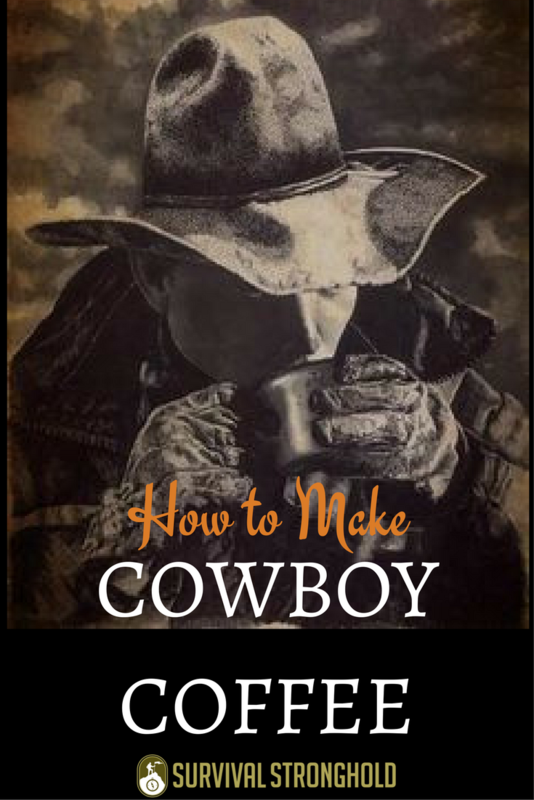 Coffee has always been one of the staples of the cowboy diet, as well as trappers, hunters, and mountain men of yesteryear. You’ve probably seen the scene many times, in old Western movies or novels, of cowboys sitting around the campfire in the early light of the morning, brewing their coffee in tin pots right over the open flame. While we included a percolator or french press in our list of camp cooking essentials, there’s a simpler way to brew coffee out on the proverbial trail: cowboy coffee. 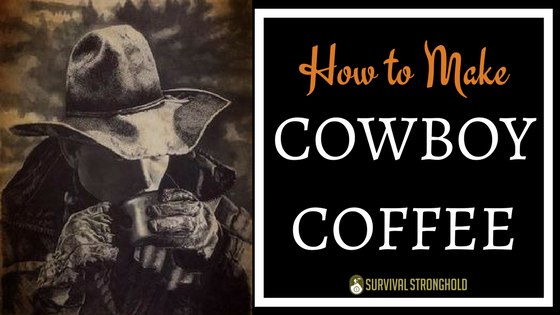 Whether you’re camping, backpacking, or actually driving cattle back to the ranch, knowing how to brew cowboy coffee is quite useful. Fill your container of choice with the 8 cups of water. Add your coffee grounds, and place on the open fire, secured by rocks so it will remain stable. Bring to a slow boil. You might need to adjust your pot, carefully, to make sure it is getting the right amount of heat. As the water begins to boil, add your egg shell. This will draw the grounds, which helps keep them from getting in your cup. Once the water is fully boiling, remove from heat. As soon as the water has stopped boiling, add your cold water. This will help the grounds to drop to the bottom of the pot. It’s now ready to serve! Pour or ladle into your mugs. Of all the luxuries you could enjoy when waking up outdoors, cowboy coffee is probably one of the best. There’s a reason it was so popular among outdoorsmen back in the day. 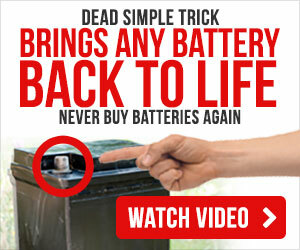 It will give you that extra kick you need to hit the trail early and get your work done! Enjoy.